Goa is also facing three Assembly constituency by-polls -- Mandrem, Mapusa and Shiroda. Six candidates each remain in the fray for Goa’s two parliamentary constituencies while 16 candidates will battle it out for three state Assembly by-elections to be held along with the Lok Sabha polls on April 23. On the last day for withdrawal of nominations on Monday, only two persons withdrew their nominations — both from the Assembly battle. In North Goa, sitting MP and Union Minister of State for AYUSH Shripad Naik is in the race along with state Congress president Girish Chodankar, Aam Aadmi Party’s Pradeep Padgaonkar, Amit Korgaonkar of the Republican Party of India (Kamble group) and independent candidates Aishwarya Arjun Salgaonkar and Bhagwant Kamat. In South Goa, those in the contest are Congress candidate Francisco Sardinha, BJP’s Narendra Sawaikar, AAP’s Elvis Gomes and Shiv Sena’s Rakhi Naik. Two independents, Kalidas Vaingankar and Mayur Khanconkar, are also in the fray. Goa is also facing three by Assembly constituency by-polls — Mandrem, Mapusa and Shiroda. Five candidates are in the fray for the Mandrem seat, including BJP’s Dayanand Sopte, who deserted the Congress, necessitating the election. In Mapusa, where the by-election was announced following the death of former BJP deputy Chief Minister Francis D’Souza, his son Joshua D’Souza has thrown his hat in the ring on a BJP ticket. He takes on Congress’ Sudhir Kandolkar, NCP’s Sanjay Barde, Nandan Sawant of the Goa Suraksha Manch and Shekar Naik of the AAP. Two independent candidates are also in the fray. 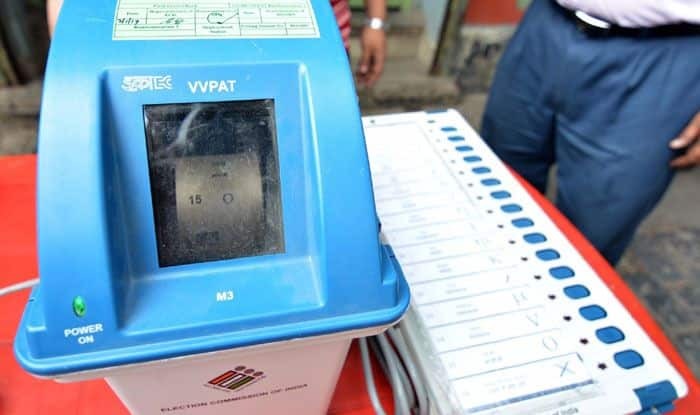 Six candidates are in the fray in Shiroda: BJP’s Subhash Shirodkar, Congress’ Mahadev Naik, Maharashtrawadi Gomantak Party’s Pandurang Dhavalikar, GSM’s Santosh Satarkar and AAP’s Yogesh Khandeparkar. Goa votes on April 23.